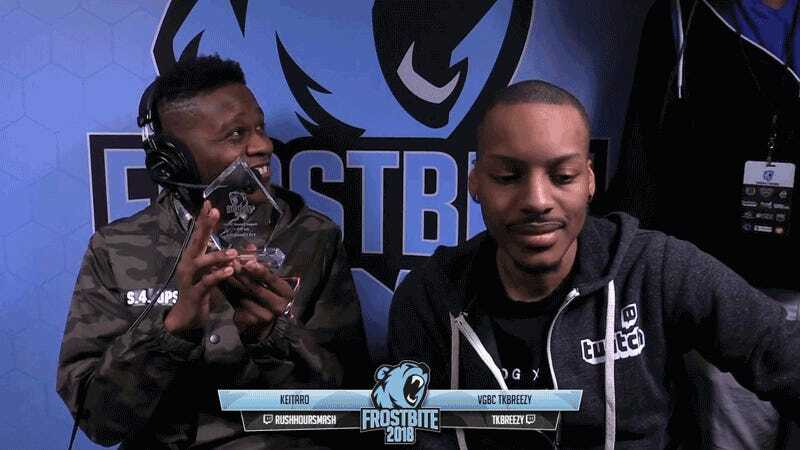 Last night, Brian “Cosmos” Kalu won his first-ever trophy for Super Smash Bros. For Wii U, and then almost lost it. Whether a prank or by accident, it certainly made my heart (and probably Kulu’s) skip a beat. Thankfully he recovered, returned it to the box, and handed it away. Congrats to Kulu for a big win and a trophy still in one piece.